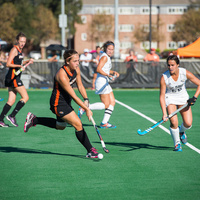 Built in 2014, the Pacific Field Hockey Turf is one of the most impressive facilities in the country. Pacific's new field hockey field has one of the first Edel Grass fields installed in the United States. Edel Grass is accredited by several international sporting federations and is a popular choice for field hockey competition spaces worldwide. Nearest parking at Larry Heller Drive entrance.